WASHINGTON, DC, June 24, 2010 (ENS) – Federal rules governing pesticide experiments using people as test subjects must be rewritten and issued for public comment under a new agreement reached between the U.S. Environmental Protection Agency and public health groups, farm worker advocates and environmental organizations. The proposed changes will address the three principal areas identified by the groups – the scope of the rule, its consistency with recommendations issued by the National Academy of Sciences in 2004, and its consistency with the Nuremberg Code. The Nuremberg Code, a set of standards governing medical experiments on humans, was put in place after World War II following criminal medical experiments performed by Nazi doctors. EPA will publish the proposed amendments in a Federal Register notice before January 16, 2011, and open a public comment period at the same time. The amendments will be finalized by December 16, 2011. In 2006, during the Bush administration, the EPA imposed a rule that allows experiments in which people are intentionally dosed with pesticides to assess the chemicals’ toxicity and allows EPA to use such experiments to set allowable exposure standards. In these experiments, people have been paid to eat or drink pesticides, to enter pesticide vapor chambers, and to have pesticides sprayed into their eyes or rubbed onto their skin. 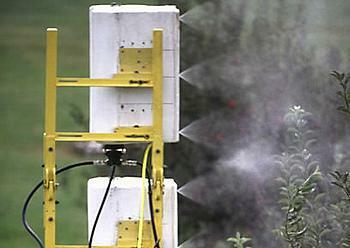 The pesticide industry has used such experiments to argue for weaker regulation of harmful chemicals. Under the proposed changes to federal research ethics standards, the EPA would no longer accept such studies. If the EPA stops accepting them, corporations have nothing to gain by conducting them. In 2006, after the rule allowing such testing was imposed, a coalition of health and environmental advocates and farmworker protection groups, led by the Natural Resources Defense Council, filed a lawsuit against the federal environmental agency. The groups claimed that the rule lifted a ban on human testing put in place by Congress. The coalition that challenged the regulation argued in the U.S. Court of Appeals for the Second Circuit that the rule ignores scientific criteria proposed by the National Academy of Sciences, did not prohibit testing on pregnant women and children, and even violated the most basic elements of the Nuremberg Code, including fully informed consent. The lawsuit was brought by the Farm Labor Organizing Committee, Migrant Clinicians Network, NRDC, Pesticide Action Network North America, United Farm Workers, Pineros y Campesinos Unidos del Noroeste (Northwest Treeplanters and Farmworkers United) and the San Francisco Bay Area Physicians for Social Responsibility. Attorneys with NRDC, Earthjustice, and Farmworker Justice served as legal counsel for the coalition. “We hope that improved regulations will result in greater protections for those who are most exposed to pesticides, particularly farmworkers and their families,” said Bruce Goldstein, executive director of Farmworker Justice.